This has been a good week for starchitects Renzo Piano and Frank Gehry, both of whom were resurrected in seemingly moribund development projects. Start with Piano, who designed the ill-fated Tommy’s Tower in 2007, the 1,000-foot-high skyscraper mayor Tom Menino wanted installed in Boston’s Financial District as his legacy project. Piano dropped out (or was dropped) the following year. Soon after, the entire project was dropped. 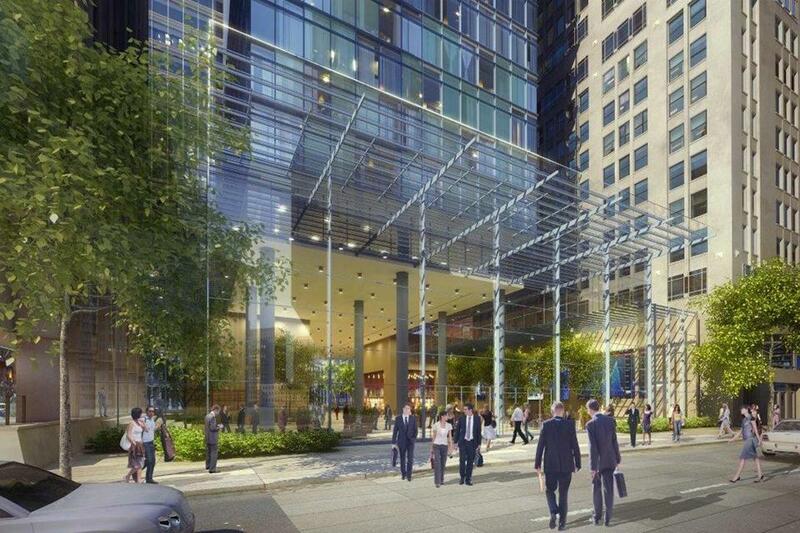 Entrepreneur Steve Belkin is resurrecting his plan to build one of Boston’s tallest buildings, a glass tower of up to 740 feet that would be a new centerpiece on the city’s rapidly changing skyline. The building would occupy one of the last major development sites in the Financial District, replacing a decrepit city-owned parking garage at Winthrop Square with a skyscraper that could cost as much as $900 million to build. Originally, Belkin proposed a 1,000-foot office tower that drew regulatory objections because it would have interfered with air traffic. He shelved the project during the economic downturn. Then there’s Frank Gehry, the starchitect who designed MIT’s Stata Center among other landmark buildings. His Looney-Tunes design just got greenlighted for the Eisenhower Memorial, a historic fiasco chronicled for the ages by the redoubtable Andrew Ferguson in the Weekly Standard last month. You don’t have to be an Eisenhower Memorial groupie—yes, there are such people—to enjoy a new 56-page congressional report called “A Five-Star Folly.” But it helps. The mound of detail will bury all but the sturdiest student of what is shaping up to be one of the most memorable Washington fiascoes of our young century. A blend of incompetence with arrogance, the saga of the memorial is like an Obamacare rollout for architecture buffs and history weenies. It’s now nearly 15 years since Congress established the Dwight D. Eisenhower Memorial Commission and told it to think up a tribute to Ike. Since then commissioners have come and gone, among them congressmen, senators, rich folk, and a handful of normal people, assisted by nine staffers. What has remained constant is the commission’s amazing lack of progress. A site for the memorial wasn’t chosen until 2005. It took another four years for the commission to hire a designer—and not just any designer but Frank Gehry, the most fashionable architect of the day. By 2013, Congress had appropriated $65 million for the commission’s work. Finally, last year, while pondering the commission’s request for another $73 million, a few people on Capitol Hill noticed something fishy: The memorial still hadn’t got built. Ground hadn’t even been broken. For that matter, the commission had yet to obtain approval for a final design. 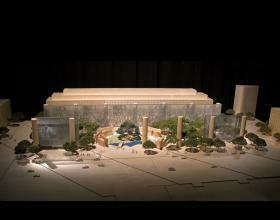 But now they’re one step closer to Gehry’s Folly. This entry was posted in Uncategorized and tagged A Five-Star Folly, Andrew Ferguson, Buz Eisenberg, Dwight D. Eisenhower, Frank Gehry, Gehry's Folly, MIT, Renzo Piano, Stata Center, Steve Belkin, The Weekly Standard, Tom Menino, Tommy's Tower, Winthrop Square. Bookmark the permalink. Wouldn’t a Gremlin have been more sensible?